Has your celebrity crush recently gotten married? It might be disappointing that Dave Franco and Alison Brie are off the market, but if there’s one thing we can take away from their marriage (aside from their love) it is their beautiful wedding rings. Celebrities are constantly in the spotlight, so they have to style themselves with the best jewellery pieces. 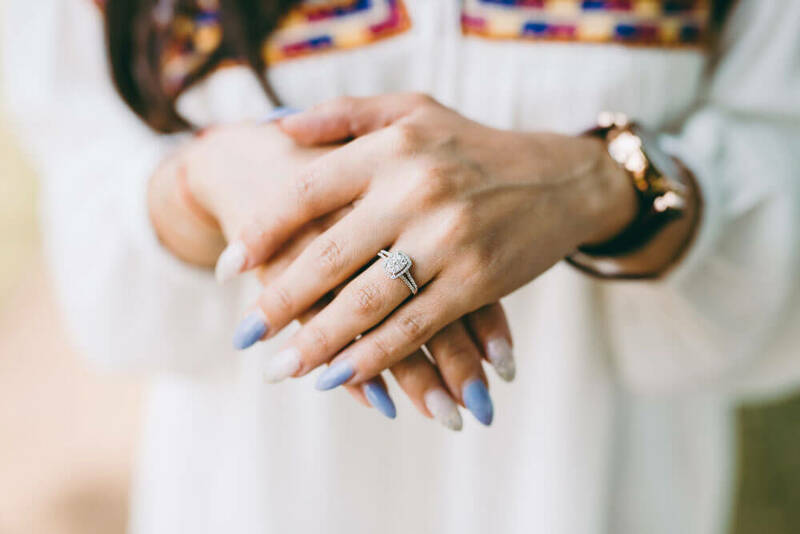 Here are a couple of our favourite celeb wedding and engagement ring styles that you can steal some inspiration from! You might think we’d be ogling Blake’s ring (and don’t get us wrong, we are) but this spotlight is actually directed at her husband! Ryan’s wedding and engagement rings are an incredibly unique gold band set that says ‘I’m taken’ in style. Want to get the same detailing? Check out our collection of customisable bands – specifically this two toned designer wedding band. You’ve seen Kate’s gorgeous royal sapphire ring – but have you seen her sister Pippa’s deco-inspired diamond ring? This stunning piece of jewellery features a square halo design that is irresistible inspiration for your own engagement ring. We can’t wait to see what the wedding ring looks like once she and James officially tie the knot. If you’re interested in a similar design, check out our Cushion Cut Engagement Ring. If you’re a guy who enjoys a bit of flair, then you’re like David Beckham and you’re going to love this wedding ring. He has a couple of different rings that he wears – ranging from a simple gold band to a more elaborate ring with three tears of diamonds. Whatever style you’re looking for, David’s worn it and you can find it in our men’s collection. And of course, we have to give mention to Alison’s engagement ring as it inspired this whole post! Her ring is a stunning rose-cut diamond featuring rose quartz and diamond pave. You can get the look with our Halo Round Diamond Engagement Ring with side stones. Still need some help selecting a wedding or engagement ring that will make you feel like a celebrity? Stop on by Joseph George Jewellery in Melbourne, and we’ll find the style that best suits you and your fiance.